It’s that time of year again! Getting bikini ready is something we all put off until the very last minute. (Because let’s be honest, who ever wants to skip on the fries?) BUT it’s officially May, what I always refer to as ‘designated bikini-prep time.’ June is one month away, so the magic question is how we can get bikini-ready in time for summer beach days. It’s a lot easier said than done, but you’d be surprised by the progress you can make in just 1 month. My tips and tricks below will make it easier than ever. No crash dieting, no weird and risky gimmicks, just some tried-and-true TLC for your body. I’ve written articles about fasted cardio before because it’s my #1 tip for quick and effective fat loss. Fasted cardio is aerobic exercise that’s done when your body is in a fasted state, aka hasn’t had for 6 hours. Because it’s not healthy at all to go 6 hours without eating during the day, the best/more realistic time for fasted cardio is first thing in the morning. Make sure you eat a meal full of good carbs and protein right after finishing your fasted cardio. 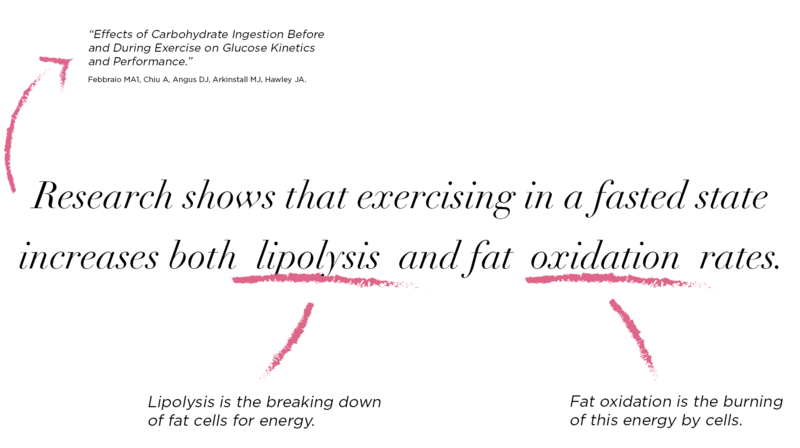 It’ll help refuel your body and make the work you did more effective. Fasted cardio is not effective if done incorrectly, so make sure you take care of your body if you’re putting it through fasted cardio. If you don’t know which type of cardio to go after, I recommend fasted cardio! It’s super effective at burning that stubborn fat and will keep you more interested in the work out than walking on a treadmill. Don’t knock it until you try it. I know it sounds crazy. but taking a 1 tbsp shot of pure Apple Cider Vinegar followed by 8oz of water can help achieve your body goals faster. This vinegar is a miracle product with so many health benefits, it’s almost hard to believe. Because vinegar is so acidic, it’s important that you actually drink 8oz of water after taking the tbsp of vinegar and only do so once a day. Because there are so many health benefits, even if weight loss is your goal, there are a whole number of other benefits that make it worth the 2 seconds sour-tasting vinegar. 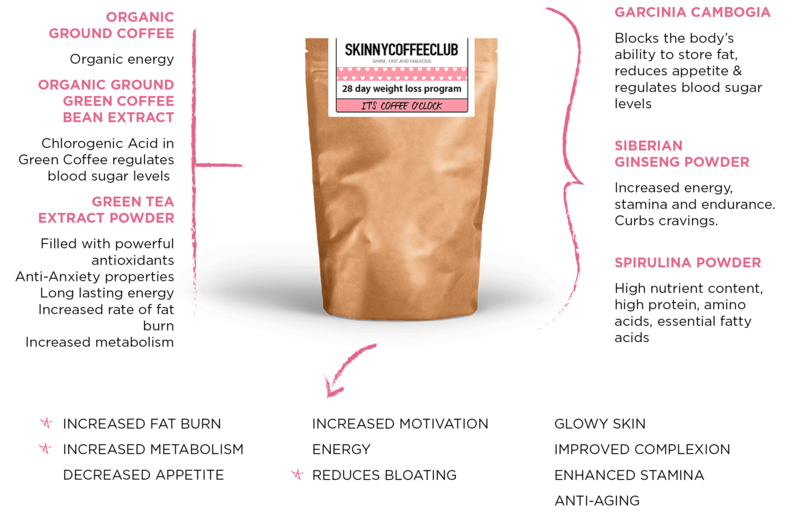 If you’ve already read my Skinny Club Coffee Review, then you know how strongly I feel about this miracle coffee. This is one of those rare products that actually achieves visible results without hours spent in the gym. Even though this product tastes just like coffee, it’s actually so much more, packed with natural fat-burning ingredients like Garcinia Cambogia and Green Tea Extract. I’ve always been thin, but have had trouble achieving that flat, toned stomach everyone wants. At the end of my 28 day package of coffee, my stomach was noticeably more defined and less bloated. Yes, that’s right. I’m telling you to eat MORE meals to lose weight. It’s actually much healthier for your body to consume a steady amount of food throughout the day, rather than packing all of the calories into 3 giant meals. By eating smaller, more frequent meals, the body is better able to digest, you boost your metabolism and it helps to get rid of those sugary cravings late at night. The key to eating these 5 small meals, though, is making sure that they’re balanced meals. What does this mean? It means that each meal you’re eating contains 25% protein, 25% healthy carbohydrates and the other 50% vegetables (aka not a slice of pizza and fries). If you’ve never heard the saying “Abs are made in the kitchen,” then familiarize yourself with it because this is exactly what they mean. Our bodies are actually almost 67% water. Without a full 8oz of water a day, it won’t matter if you do everything else on this list because the nutrients won’t be able to get through your body. I keep count of how much water I drink on my phone so it’s easy to remember. For some extra detox, add fresh lemon or cucumber to your water! CLA is Conjugated Linoleic Acid. Don’t worry, I’ll explain everything. It’s a naturally occurring fatty acid that exists in small levels in not-so-healthy foods like cheese and other dairy products. 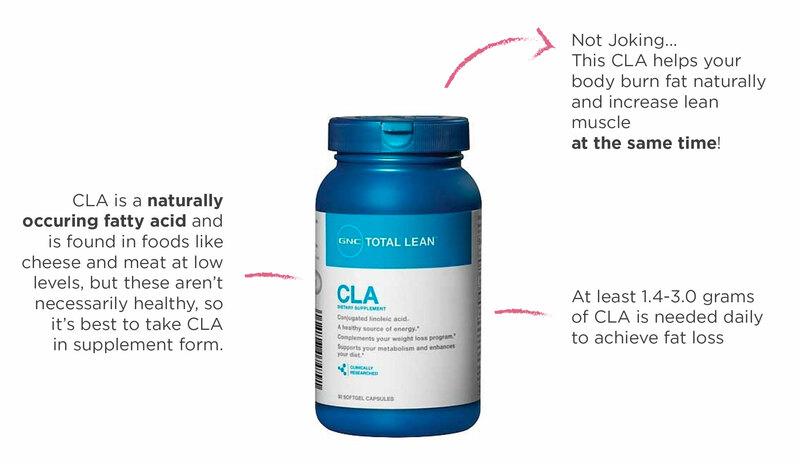 Because the ultimate weight is to lose fat, the best way to get CLA is in supplement form (a pill). Ah, these tips will come in handy with bikini season on the horizon! Love these tips. I personally love doing fast cardio workouts and running. Thanks so much for the feedback love! I really appreciate it. 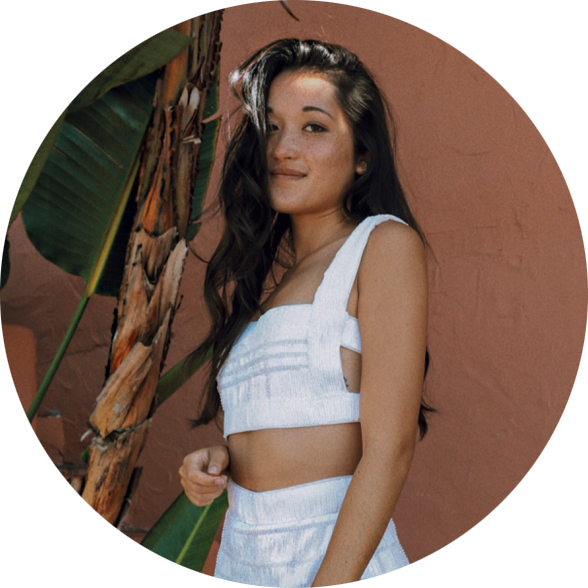 Babe this post is amazing, I really needed to read this as I’ve been travelling and eating so much I just need to be able to burn it so all my clothes fit again haha -that fast cardio sounds like a great tip! How long should I do it for? Fasted cardio shouldn’t be more than 20 minutes, first thing in the morning if you can! It’s the quickest and most effective way to burn fat. Hmm I have always been skeptical about the apple cider vinegar trick but maybe I might finally give it a go. You’d be surprised how much it can help! It’s actually been used for a bunch of different all-natural remedies for years. And YES! Definitely steal some of that CLA.. it helps your body turn fat into lean muscle. What more could you ask for!